Not all convictions or arrests are eligible for expungement, but having a criminal record should not hinder you from attempting to present yourself as a viable candidate for employment. Although the job market is competitive, there are ways to enhance your chances of securing a position in your chosen field of employment. One of the major ways to ensure that you catch an employer’s eye is to make your resume stand out. It is important to highlight different skills you may have, such as being fluent in another language, volunteering, or if you are taking a course to strengthen your skills. These are great examples that show a potential employer your positive attributes, and your willingness to continue to grow and better yourself. When applying for a potential position, it is important to acknowledge your past mistakes. Disclosing your criminal history is an honest way to approach your criminal history. It also gives you the opportunity to show how far you have come. Employers appreciate honesty and may value your forthright nature to reflect as a representation of the company. Self-employment is always as a great way to take what you enjoy and turn it into a business of your own. Hobbies are an excellent starting point to determine what interests you and how you can apply your interests into a business. The most important step is to always maintaining a positive disposition throughout the job-seeking process. If you have a negative attitude, chances are your potential employer can pick up on it, and it may affect your consideration for employment. Do not let your criminal record hold you back. It is never too late for a fresh start. If you have been convicted of a felony or served prison time, you’ve likely encountered problems re-entering the workforce. If you were convicted of a felony and did NOT serve prison time, you may be eligible for expungement. To see if you qualify, take RecordGone.com‘s free eligibility test or call at 877-573-7273. They serve all of Texas. Provided below are resources on obtaining a job, so you can get back on your feet again. Many organizations offer services for those who wish to better themselves after a conviction or those who just need to make ends meet. The help ranges from giving professional advice and training to actually connecting people with potential employers. Getting a job with a felony on your record can be very difficult, as you probably already know. Jobs for felons are difficult to get, and most companies wont hire a felon. The ones that do generally don’t pay very well. I have compiled a list of the top 10 jobs for felons. Helpful tip: if your felony is over 7 years old, most states don’t allow background checks to go back that far. If your state has this law, you can answer ‘no’ on an application. UPS has been known to hire felons. They have moderate salaries and is a stable job to have. The army accepts people with criminal backgrounds, depending on the crime. Contact a recruiter to see if you qualify to join. 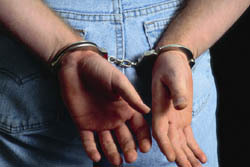 Many trucking companies are willing to hire felons. Most likely you will need to obtain a trucking license. You can start your own business. One idea is to go to school to be a locksmith, and start your own company. Also consider getting a barber license. Many companies are willing to hire felons for over the phone customer service, because you aren’t dealing with the people in person. Temp agencies can occasionally find good work for you. Many times it will be day labor, so be in good physical shape. See if you can work in a family or friend’s business. They will be happy to hire you if you are willing to work hard. They will probably be glad to help you get back on your feet. Many people will still use your services as long as you get the job done. If you work hard, it doesn’t matter that you have a felony on your record. Some chain businesses have rules against accepting felons. Small business owners are more likely to accept you. They will take more of a ‘risk’ in hiring employees, and you can be more personal with the business owner. This is the best job for a felon, because it requires no screenings whether it be background checks, drug tests, etc. Everyone is accepted, and you work on your own time and you can work as much or as little as you want. Online ‘GPT’ or “Get-Paid-To” services offer a great way to make a few hundred dollars a month without spending a lot of time working. There are many GPT services available, some better then others. My experience with GPT services has been a great one, and I recommend this as the best job in my list of Top 10 Jobs for Felons.